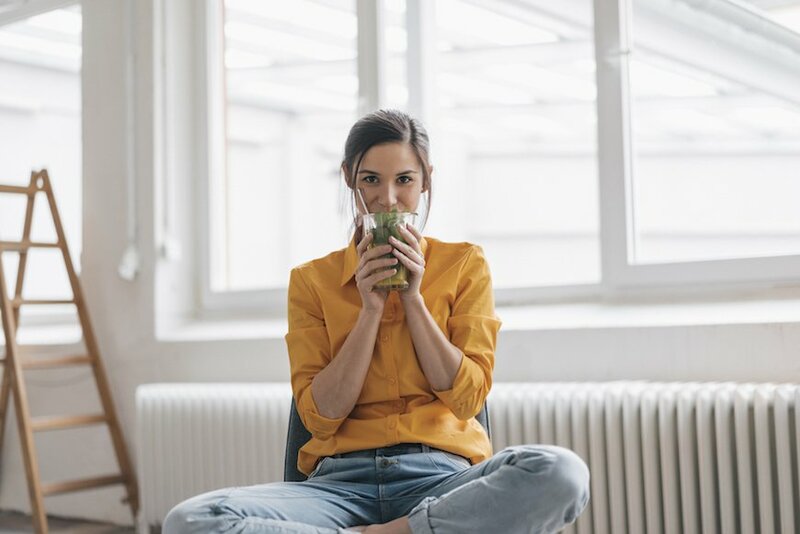 In the wellness community, herbs like maca, ashwagandha, and rosemary have long been a go-to for healing all sorts of ailments including premenstrual syndrome, adrenal fatigue, and digestive troubles. One ancient herb that’s been gaining popularity in the West in recent years is kudzu. “It’s a vine,” says Tracy Lockwood Beckerman, registered dietitian and in-house nutrition expert at Betches Media. “The root, flower, and leaf are used to make medicine.” Kudzu has been a staple in Chinese medicine, for like, forever—we’re talking at least 600 AD. And it was introduced to the United States in 1876 when it was used to control soil erosion. Here, Beckerman shares some of the health benefits of taking kudzu. But, we’ll preface this by saying that unlike other super common herbal supplements, kudzu hasn’t been widely tested—although preliminary studies do look promising. And, it does come with a list of possible side effects, Beckerman says, including itchiness, upset stomach, dizziness, nausea, headache, fever, and even the possibility of red blood cells breaking inside blood vessels. So, just to be safe, be sure to check with your doctor before you take kudzu out for a spin. Read on to learn about kudzu’s benefits for your health. If you struggle with metabolic syndrome (which incorporates a bunch of health problems like high blood pressure, high cholesterol, and insulin resistance), kudzu might be worth looking into. “Kudzu root extract contains isoflavones, which appear to lower cholesterol, blood pressure, blood sugar, and insulin levels,” Beckerman says. However, more human trials need to be conducted to know for sure. Going through the change? Kudzu could help. “When kudzu is taken orally, it can improve vasomotor symptom scores (i.e. hot flashes and night sweats) in perimenopausal women,” Beckerman says. The aforementioned isoflavones are what help regulate hormones and in turn help combat the pesky symptoms that come along with PMS, perimenopause, and menopause. Kudzu root has also shown to help regulate glucose, AKA sugar, in the blood, Beckerman says. One particular ingredient in the vine called puerarin is what guides the glucose to spread away from fat cells and blood vessels and into other areas of the body where it’s needed, such as your muscles. One of the most commonly known uses of kudzu is treating alcoholism (this is what it was originally used for in ancient China). Although it doesn’t help in reducing the craving for a drink or maintaining sobriety, small studies have found that when taking kudzu root extract, heavy drinkers consumed less booze than usual. It’s not known exactly why this works, but it’s believed to be because kudzu increases in blood flow, which allows you to feel the effects of the alcohol sooner, allowing you to stop drinking sooner, after fewer drinks. It’s also said to minimize the symptoms of a hangover. You know the ones—throbbing headache, queasy stomach, and the worst: vomiting. “There are anti-inflammatory properties in kudzu, which may help reduce inflammation in the body,” Beckerman says. Inflammation is not something to be take lightly as it can contribute to more serious issues like cardiovascular disease, diabetes, and even cancer. It is usually treated with over-the-counter medications, but kudzu might be a more natural option. For more anti-inflammatory benefits, check out moringa. And here’s how much turmeric you should be taking.